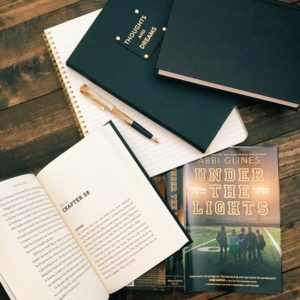 I pre-ordered Under the Lights as soon as I finished reading Until Friday Night because I loved that one so much – I wanted to read more about the characters from Lawton High’s football team. I enjoyed Under the Lights, but not to the extent that I did Until Friday Night. I felt like Under the Lights started off slow. There was a secret revolving around Willa and an accident she was involved in. I figured that would capture my attention, but I felt like the continuous mention of how bad of an influence Willa is because of the accident that occurred became more and more tedious. She was consumed with guilt, but more information on what happened sooner would have been nice. It took too long to find out, which caused me to get bored. Once I did find out what happened I couldn’t believe it! I was finally able to understand her hurt and the guilt she carried around. I couldn’t guess what happened for a second. The greatest aspects of Under the Lights were the plot twists. I didn’t see any of them coming. Willa had some and Gunner – I was all over the place with emotions when truths were revealed. I had an easier time guessing the guy she would end up with. Yes, I groaned a bit when I read the synopsis and instantly thought, “oh great yet another love triangle.” It wasn’t that bad because the guy had the decency to step away when he knew it was time. There were no ruined friendships, ridiculous fights, or annoying “who am I going to pick” episodes. Willa knew instantly when it hit her who she wanted. I loved reading more about Brady in Under the Lights. He was one of my favorite characters in Until Friday Night and continues to be one of my favorites. The male camaraderie amongst the football players is always my favorite part to read. 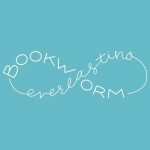 Sadly, there wasn’t much of it this time, but I’m hoping there will be in the next book. I do wish the ending was better. Glines ended it too abruptly. I was left unsatisfied and felt as if Willa and the guy she ends up with could have a whole second book. There was so much going on in the story and then all of sudden it was done. The end. What?! I wasn’t done reading! I think an epilogue would have been nice to give the story a proper conclusion. Unless Glines really does plan on having a second book just for Willa and the mystery guy then great! I’ll definitely read it and I can’t wait for the third book in the Field Party series.